Embracing sustainability can be an exasperating affair – not so for these three startups. CosmEthics, based in Finland, provides consumers with the possibility to venture behind the gloss of the cosmetics world. 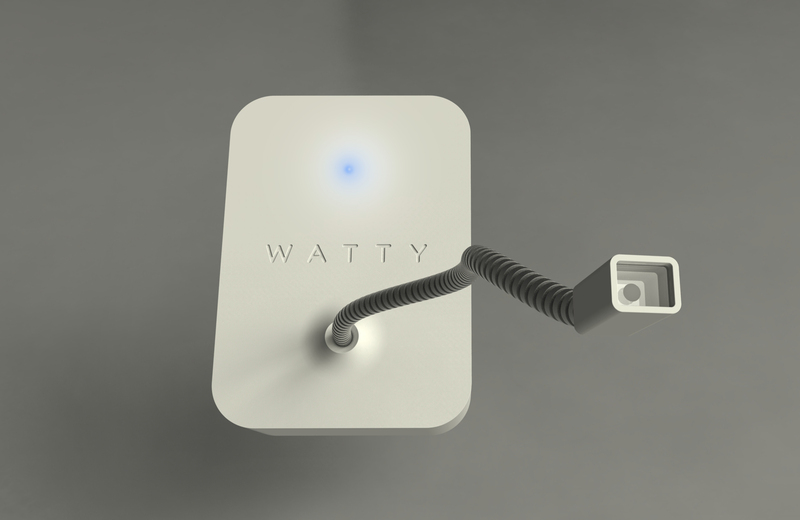 Watty is looking to transform the energy industry in Sweden by handing over the key to control energy spending to consumers. In Nigeria, trash-on-wheels is becoming a success story in waste management for the company Wecyclers. The cosmetics market is a multibillion industry where the consumer is king, as long as you know what you are buying. CosmEthics is a lightweight free app that lets you scan the barcodes of cosmetics in order to find out if they contain any unsustainable or potentially damaging ingredients, and explains why. Be surprised by how many – seemingly harmless – day-to-day cosmetics products contain chemicals that trigger a red alert, and be shown alternatives. Founder and CEO, Katariina Rantanen, compares the need for the customer to be proactive to the tobacco industry – we all know smoking is harmful, nonetheless you can still do it. “Ingredients that have negative or undesirable effects are not automatically banned. If you want to be preventive you can be more aware of what you put on your body”, explains Rantanen, who after working in the perfume industry for years decided to found CosmEthics. In addition to helping consumers find ingredients that in the long run can be harmful, the applications strives to simplify the life for people with allergies or ethical preferences by enabling profiling. Premium customers will be given even more extensively curated content – in just a few weeks, CosmEthics will publish a profile aimed at vegans, and more is to come. At the moment the product library houses around 5000 items, and it’s growing fast. The company has already secured an impressive 300 000€ in seed funding from Finnish investors. Part of the interest is based on the enormous potential – in 2013 the cosmetics market in the EU was worth a respectful 72 billion euros, with steady sales despite the economic downturn. Ingeniously, the standardized bar code is identical all over within the EU, simplifying the product library construction. When thinking about energy inefficiency, industry and transport usually comes to mind. But what if households were actually the worst spenders? Thats exactly what’s happening. “The problem that we are looking at is that homes and building waste much more energy than any other place in society. No one has a clue what’s going on in our homes, we just get electrons out the wall”, explains CEO Hjalmar Nilsonne. That is exactly the market Watty aims to tap into. By combining a mobile phone application and one sleek low-cost component that measures electricity consumption, the company looks to create a new market for the energy sector – which is seeing its profits dwindling in the face of excruciating competition. “Now the energy companies are contacting us – they are seeing that they need new ways to serve their customers as the market is changing”, says Nilsonne, and points to how energy companies have surpassed the banking sector when it comes to customer distrust in Europe. “Instead of blaming high bills people should be looking at their aging appliances.”, Nilsonne states. By developing a product that easily can read how household appliances are using energy, they have discovered another untapped treasure trove: big household energy data. At the moment the company has thirty Swedish families beta-testing the product, and in only ten days Watty has collected more household data than a previous large study took four years to accomplish. As a company Watty looks to place itself as a middleman between the customer, the energy companies and successful startups like Nest. “Our goal is really to help all of this companies to find their customers. The startups will be happy because suddenly they have a customer base, and we will be happy to broke lots and lots of deals”, Nilsonne concludes. One of the main hurdles for doing something about the global waste problem is as simple as bad roads, making collecting nearly impossible. Based in Nigeria, Wecyclers are turning recyclable waste into a business by using customised bicycles to collect lightweight waste from low-income households, and selling the gathered material forward. Only in Lagos, Nigeria, an estimated 66% of households live in areas that are out of reach for traditional waste collectors, and by offering redeemable incentives via SMS to subscribers, the company founded in 2012 has already engaged up to 5000 households and currently has 52 staff members. 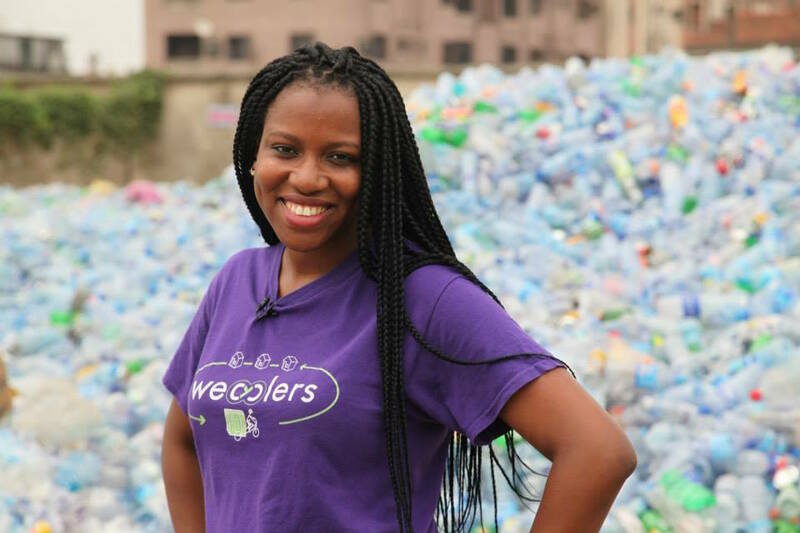 Wecyclers, founded by Nigerian-born CEO Bilikiss Adebiyi Abiola, is dreaming big. At the moment, Wecyclers are focusing on collecting items such as plastic bottles and aluminium cans. Thrown away cans are especially problematic, by collecting stagnant water that becomes a hotbed for malaria. The company’s biggest buyers are in Nigeria, but the market in Asia is the next potential. Although Wecyclers aim even further. To get to know more about sustainable startups, make sure to get your Slush pass before November 18th here. Images from CosmEthics, Watty, and Wecyclers provided by CNN. Stefanie is a journalist fascinated by creative innovations and forward thinking, and always on the chase for a fresh angle.